What a beautiful day God gave us today. A little cloudy this morning but after the clouds lifted the sun made the day shine bright. I hope all of you enjoyed it like I did. Also another wonderful bible study with the guys this morning. We keep finding new morsels of spiritual food that most of us have not seen before. Just more proof that God wants us to stay in His word so that He can continue grow us to be more like Jesus. The book of John has been a great study and I can hardly wait to see what He wants to reveal to us next Saturday as we finish chapter 3. We would love to have you come and study with us. I believe you will find a blessing waiting on you. We meet every Saturday morning at 7:30 AM in the 1120 Medical Office Building at Helen Keller Hospital. The study lasts until 8:30. Come join us when you have the opportunity. 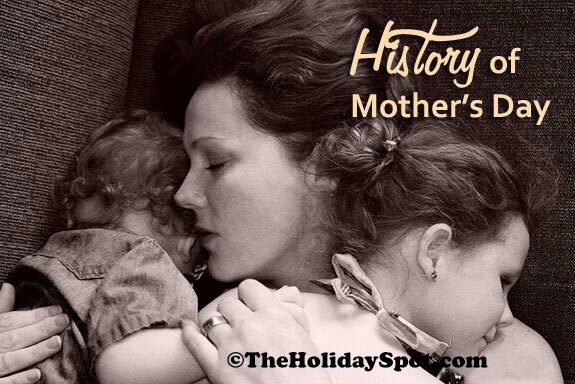 Being that tomorrow is Mother’s Day, I did a little research on the history of the holiday and learned some very interesting facts about the holiday. I hope you will make tomorrow a special day for the mothers in your life. There is no doubt they deserve it. I hope you enjoy the following article. The history of Mother’s Day is centuries old and the earliest Mother’s Day celebrations can be traced back to the spring celebrations of ancient Greece in honor of Rhea, the Mother of the Gods. During the 1600’s, the early Christians in England celebrated a day to honor Mary, the mother of Christ. By a religious order the holiday was later expanded in its scope to include all mothers, and named as the Mothering Sunday. Celebrated on the 4th Sunday of Lent (the 40 day period leading up to Easter), “Mothering Sunday” honored the mothers of England. It should be well to remember that Howe’s idea was influenced by Ann Marie Reeves Jarvis, a young Appalachian homemaker who, starting in 1858, had attempted to improve sanitation through what she called “Mothers Friendship Day”. In the 1900’s, at a time when most women devoted their time solely on their family and homes, Jarvis was working to assist in the healing of the nation after the Civil War. She organized women throughout the Civil War to work for better sanitary conditions for both sides and in 1868 she began work to reconcile Union and Confederate neighbors. Ann was instrumental in saving thousands of lives by teaching women in her Mothers Friendship Clubs the basics of nursing and sanitation which she had learned from her famous physician brother James Reeves, M.D. In parts of the United States it was customary to plant tomatoes outdoors after Mother’s Work Days (and not before). As a result of her efforts the first mother’s day was observed on May 10, 1908, by a church service honoring Late Mrs. Reese Jarvis, in the Andrews Methodist Church in Grafton, West Virginia, where she spent 20 years taking Sunday school classes. Grafton is the home to the International Mother’s Day Shrine. Another service was also conducted on the same date in Philadelphia where Mrs. Jarvis died, leaving her two daughters Anna and Elsinore. So it was more of an homage service for Mrs. Reeves Jarvis than a general one conducted in honor of motherhood. Nevertheless, this set the stage for the later Mother’s Day observances held in the honor of motherhood. Mother’s Day continues to this day to be one of the most commercially successful U.S. occasions. According to the National Restaurant Association, Mother’s Day is now the most popular day of the year to dine out at a restaurant in the United States. The occasion is now celebrated not so much with flags as with gifts, cards, hugs, thank yous and other tokens of affection. While many countries of the world celebrate their own Mother’s Day on different days and at different times throughout the year, there are some countries such as Denmark, Finland, Italy, Turkey, Australia, and Belgium which also celebrate Mother’s Day on the second Sunday of May. In some countries, the appreciation lasts for two days. Today, Mother’s Day is a day honoring mothers, celebrated on various days in many places around the world. It is the day when you acknowledge your mothers contribution in your life and pay a tribute to her, often with flowers and gifts. It complements Father’s Day, the celebration honoring fathers. I hope all of you have a great day in the Lord tomorrow. May God richly bless you this coming week.